Summary: Barry White+ Girl Scout Cookies is a medication that will help you stay aware, while relaxing your muscles at the same time. Every once in a while, two great strains come together to make a heavy-hitting favorite. This is exactly the case of Barry White + Girl Scout Cookies. The buds of Barry White + Girl Scout Cookies look very pleasing to the eye. At first glance, the frosty-colored trichromes overwhelm the rest of the bud. The greens of the buds are very bright, and have orange hairs abundant. 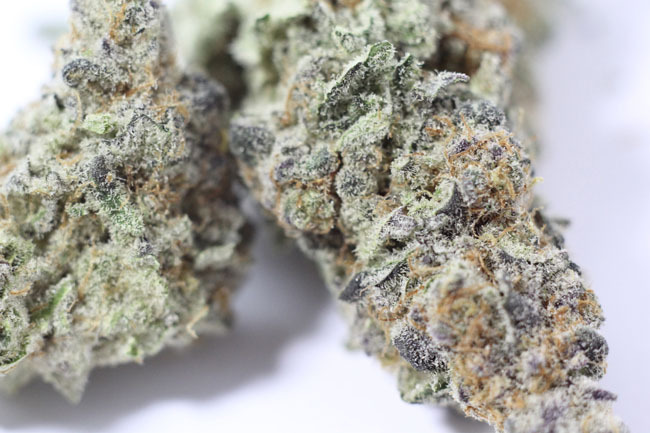 The blend of Barry White + Girl Scout Cookies is a sativa-dominant hybrid. It has a very pleasing taste, and it very much resembles that of Girl Scout Cookies. The only difference is the taste of Barry White + Girl Scout Cookies may be even more sweet. It tastes a little mint, and a little fruity at the same time. The medicating value of Barry White + Girl Scout Cookies is great, but could do more for chronic joint pain. It is a medication that will help you stay aware, while relaxing your muscles at the same time. Barry White + Girl Scout Cookies does not leave you drowsy, so it is a very good medication for helping you to get your work done. Barry White + Girl Scout Cookies is a great tasting medication. Looks like: Frosty green with abundant trichromes. Smells like: Sweet and minty. Makes you feel: Aware, focused, and satisfied. Definitely reminds me of Girl Scout Cookies. A tad too sweet for my tastes. This is seriously a great strain! Great strain! Relaxing without the drowsiness!! I love Barry White + Girl Scout Cookies for medicating during the day on weekends… Gives me just enough of a buzz to relieve my pain but still allows me to check off things on my to do list. 10/10! perfect for day time use!